With CPC’s (costs per click) and CPM’s (cost per impressions) becoming the ranking meter of digital media content, it is quite necessary to understand what gets eyeballs attracted and what does not. 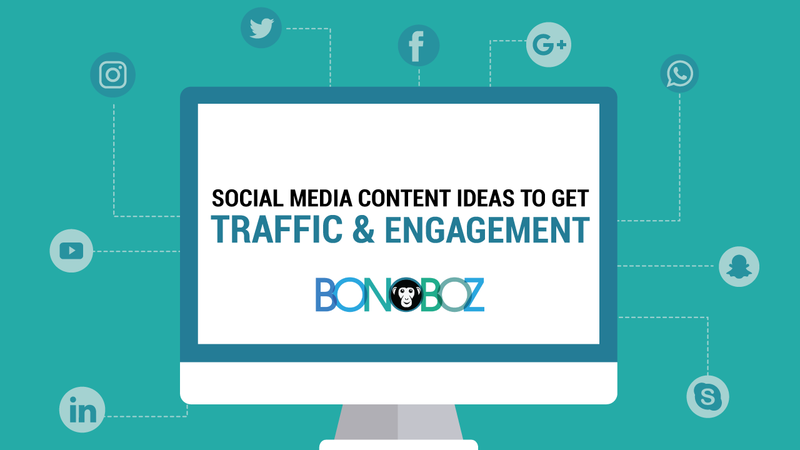 So, Here are some social media content ideas to get traffic and engagement. As digital marketers, it is very important to realize that each platform brings with it a set of features and characteristics that cannot be replicated by the other platforms. The uniqueness of each platform from facebook to twitter and Instagram must be understood to derive the platform’s full potential. So what are the different ways that garner maximum traffic? What makes the user tick? What makes him/her visit and view the website? The human brain is a sucker for cliffhangers; we want to know what comes next at the end of an unfinished story or a sentence. Therefore, “to be continued”, “view more” work well on social media platforms. A series of episodes can be created on Snapchat by using “curiosity” as a tool. Here the user feels eager to watch more and is engaged at the same time. It also helps in brand recall and recognition. An incomplete story acts like a nagging suspense in the minds of the consumer, therefore to get the user attracted, a good way is to leave blogs and vlogs at “to be continued” phase, where the user himself/herself wants to view more of the content. Another way to get traffic is to have user-generated content (UGC). When a user or a prospective user engages in creating content for the brand, they tend to feel a sense of belongingness with the brand. The brand connects with the user, and he/she feels like part of a bigger community. As a marketer, you can learn a lot from “GO PRO” that engages it’s users to advertise for the brand. To get the user involved, contests and engagement plans should be curated to engage the user and make them feel like they contribute to the brand. User-generated content creates a lot of reliability amongst potential users as the content holds credibility and hasn’t been compromised in any form. Involving infographics (information graphics) can be quite engaging for the user. The human brain is receptive to photographs more than text. Also, it leaves a lasting impression in the minds of the consumer. Therefore making correct usage of infographics can bring in a lot of traffic and also lead to a better comprehension rate. Bonoboz is a creative infographics design company in India provides infographics design services. Contact us for more details. Placing images that have a reference to the content make the content more and more understandable. It also generates brand recall and brand engagement in the minds of the consumer. Just a tip: It is best not to crowd the page with a lot of infographics as that can have just the opposite effect and dissipate viewer comprehension. The Facebook live / Periscope Live feature creates a high level of engagement as the user feels like he/she is viewing content real time. Just a tip: Try to keep the duration below 90 seconds as the viewer loses interest to post that period. To engage the user and get maximum traffic, it’s best to understand consumer behavior and consumer psychology as cliffhangers, infographics and videos are used to create high comprehension which is directly related to the human brain.